You might have built your business on great products and exemplary service, but it is your brand that defines your identity for your customers. If you haven’t really established one yet, or your existing image doesn’t fit your business, getting started can seem like a daunting task. To help you get started, and to stay focused, let’s look at three essential elements of creating a strong strategy. On some level, most businesses exist to make money; but, what does your service offer customers? Do you streamline operations for other companies? What niche do your products cater to? How you imagine the relationship between your organization and clientele will not only help you understand the personality and sensibility to convey to them, but also, in the beginning assist in creating a brand mission and identity. Check that every aspect of your branding, from your social media posts to your visual advertising, ties back to your business. For instance, do all of your social media accounts, radio spots, and blog posts use a similar tone of voice? Paying attention to details such as these will build recognition with your audience and customers will come to expect that type of tone or voice from you. For example, like it or not, Wendy’s snarky yet fun tone of voice has garnered them praise and a lot of new followers, and now those followers expect that from the brand. However, it must be consistent and that can be hard, especially as your company starts to go. To help, start with a style guide. A style guide, also known as a style sheet, sets the standards for everything from logo usage, brand colors (down to the Pantone Matching System Color Chart numbers), and even language that should or should not be used in advertisements and internal and external documents from the brand. By spending time creating a style guide, the finished guide can be given to every department in the company. Employees will adhere to the guide when creating social media pages, creating advertisements, or even press releases and new products. 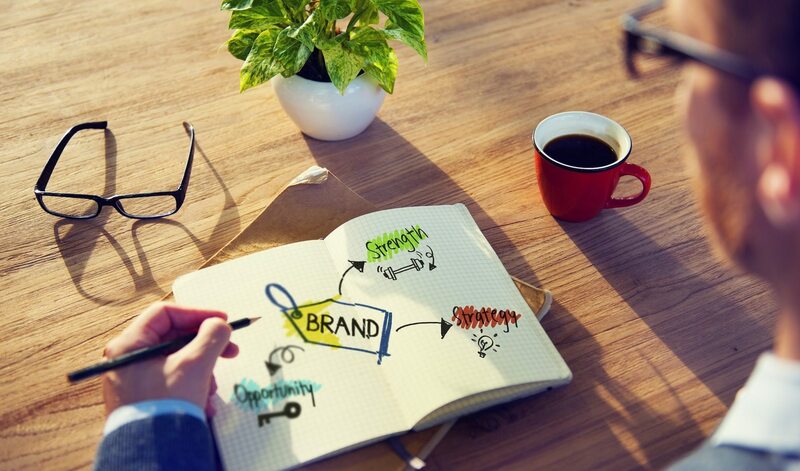 While a marketing agency can get your logo and slogan in front of an audience, how your employees reflect the spirit of your brand can be just as important. To help your employees become your internal brand advocates, prepare training materials to ensure everyone on your team understands the core values and personality of your business and how important that is for building and expanding your organization. Then encourage them to become involved in posting and talking about the brand online, within your company’s social media guidelines, of course. Think about the brands you know and love, or maybe even the brands that you know, but for some reason dislike. What makes you love the brands you are loyal to? What makes you dislike the brands that put a scowl on your face when someone mentions them? What would change, in your opinion, if both brands had employee advocates cheerleading for their company? Employee advocates bring a human side to a brand that most people just see as a logo and a product. Don’t underestimate the power of people. Your brand’s visual identity starts to shape and form consumer opinions about your products and services long before the purchase is made. Whether you’re a new company, or an existing one, take a step back and view how the consumer looks at you. It’s never too soon, or too late, to make a brand identity change.